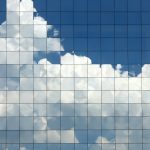 In Part 1 of this series of articles, I provided an overview of the need for persistent desktops in the cloud, the differences between the two ways to implement that – VDI and DaaS – and some of the concerns and issues surrounding Desktop as a Service. Then I began to delve into Amazon’s WorkSpaces desktop service and as we continue the discussion, I’ll take a look at various aspects of how it works, what it costs and how to deploy and use it. But what is it really going to cost? We all know that service providers’ claims of gargantuan savings by adopting their services sometimes pan out and sometimes they don’t. Hosted desktops have been touted in many circles as a way to lower your TCO but sometimes there are hidden costs. In general, DaaS is more cost effective than VDI, which can be difficult to scale and upgrade because it’s usually built on enterprise (vs. cloud) infrastructures. Within the DaaS options, though, there is a wide variance in pricing structures and ultimate costs. Some DaaS providers set a minimum number of desktops that you have to order, or set minimum usage requirements. Some charge licensing fees for the operating system separately. Others require that you commit to a long term contract (one year is common) so you’re locked in for that time period even if you find the DaaS solution doesn’t meet your needs. When Amazon first released their WorkSpaces service in 2013, Gene Marks over at Forbes.com asked if it was Too Good to Be True, and in the end concluded that the cost – which on the face of it seemed considerably lower than that of the company he was using to host his 10-person company’s applications – after adding in the cost for Exchange and migrating databases would end up at close to the same per-month per-user outlay. That was two years ago and the market has matured somewhat over that time. Amazon offers three WorkSpaces bundles as well as a couple of applications options, which we will look at now. As a cloud service, WorkSpaces is a subscription that you pay for on a per-desktop per-month basis. Unlike with some services, you are not required to sign a contract that locks you into WorkSpaces for any set period of time. You can delete some or all of your WorkSpaces as your changing needs dictate and you’re charged only for those WorkSpaces that you use that month. That means if you have a user who takes a two-month leave of absence and that WorkSpace is never launched, you won’t be billed for it. That’s a big advantage over deploying your own desktops (for instance, from a local Remote Desktop Server) since you would be incurring the costs of that desktop whether or not it was used. In order to provision WorkSpaces to your users, you have to have an AWS account; it’s not a standalone service. Of course, Amazon offers free accounts for one year that include 750 hours of EC2 usage (Windows or Linux t2 level, 5 GB of S3 storage as well as RDS (relational database) and DynamoDB (NoSQL database) and a number of other services. Note that after one year, you have to pay regular rates, and you have to sign up with a credit card to get the free trial, since you’re charged if you exceed the usage caps. Individual users themselves do not need to have AWS accounts. The basic WorkSpace for each user runs the Windows 7 desktop operating system experience, running on Windows 2008 R2 servers (at the time of this writing) and has Internet Explorer 11, Firefox and 7-Zip installed already. You can install your own software. You do this using Amazon WAM (WorkSpaces Application Manager), which comes in two versions, lite (which is free) and a more full-featured standard version, which costs $5 per month per user. We’ll discuss later in this article series how to use WAM to add software to WorkSpaces. The cost per user for WorkSpaces depends on the hardware configuration that you need for each desktop. That, of course, is dependent on what software the users use, how much data they need to store, the number of applications they need to be able to run at the same time, and so forth. In other words, will the work scenarios be light usage, typical/average office usage, or heavy usage with resource-intensive applications. If the users only need to check email and do web searches, hardware requirements are minimal. If the users will be working with video editing or CAD programs or other “power user” type use cases, they will need more processor, memory and storage. For light users, the Value package provides one virtual processor, 2 GB of memory and 10 GB of storage. This is similar to a low-end PC or a mid-range tablet, although most top tier smart phones today actually have more memory and storage than this. The price is $21 per user per month if you “BYOL” (bring your own license, discussed in more detail below) or $25/user/month if you don’t already have the requisite Windows 7 licenses for your users. For the average user, the Standard package will run you $10 per month per user. For that extra cost, you double the CPU to two virtual processors, double the RAM to 4 GB and increase the storage space five-fold to 50 GB. This should suffice for most office productivity programs and communications programs. If you have power users who need to do heavy lifting from their desktops, then you’ll want to check into the Performance package. It’s pricey at $56/user/month with your own license or $60 without, but it ups the memory to 7.5 GB and increases storage space to 100 GB, which is enough to get some serious work done. CPU stays the same at two virtual processors. The pricing mentioned above is for customers in the U.S./North America. Pricing in Europe is different (slightly higher) and a bit higher still in Asia Pacific regions (Sydney, Tokyo, Singapore). As mentioned above, you can install your own software. Another option is to purchase the “Plus” add-on to any of the three packages. For an extra $15 (in all regions), you get Microsoft Office Professional Trend Micro Security Services already installed. You can also create custom images that you configure with the desired applications and settings and then deploy to your users. We’ll talk about how to do that later. Admins can create as many as five custom images for an AWS account (per region). You can install any software you want that is compatible with Windows 7, but of course you are responsible for having the proper licenses for the programs that you install. The Bring Your Own License option is for those organizations that already have licenses for Windows 7 through a Microsoft Volume Licensing agreement with a software assurance contract. Doing this saves you money (about $4 per user per month) but it also makes getting started with WorkSpaces a little more complicated. In practice, you’ll probably need to work with your company’s Microsoft volume licensing representative (to verify that your licenses are eligible for BYOL) and with the AWS account manager for the particulars on uploading your Windows 7 images and making an AMI (Amazon Machine Image). All of this typically takes a week or two so you might not be able to get started immediately as you can without BYOL. Windows 7 Professional or Enterprise edition can be used to create your AMI. After you import the image, you’ll need to build a custom bundle that includes that image. You’ll need to activate the OS, which can be done with Microsoft activation servers within your virtual private cloud (VPC) or that can be accessed from your VPC. We’ll go into deeper detail about how to do all this in a later section. Note that unlike the non-volume licensed WorkSpaces, there is a minimum number of WorkSpaces that you have to launch per month in order to use the BYOL option. At the time of this writing, that number is 200. For this reason, as well as the VL agreement requirement, BYOL is only feasible for large organizations, not for small businesses. Cost is always a factor in making a big IT decision such as whether to move to Desktop as a Service and which provider to use if you do. In this, Part 2 of our series on Amazon WorkSpaces, I’ve tried to provide a breakdown of the costs that are involved, keeping in mind that this is a very volatile market and pricing is always changing so these numbers are only applicable at the time of this writing (November 2015). In Part 3, we will move on past the money issues to take a look at some other factors that are important in selecting a DaaS provider, such as security.